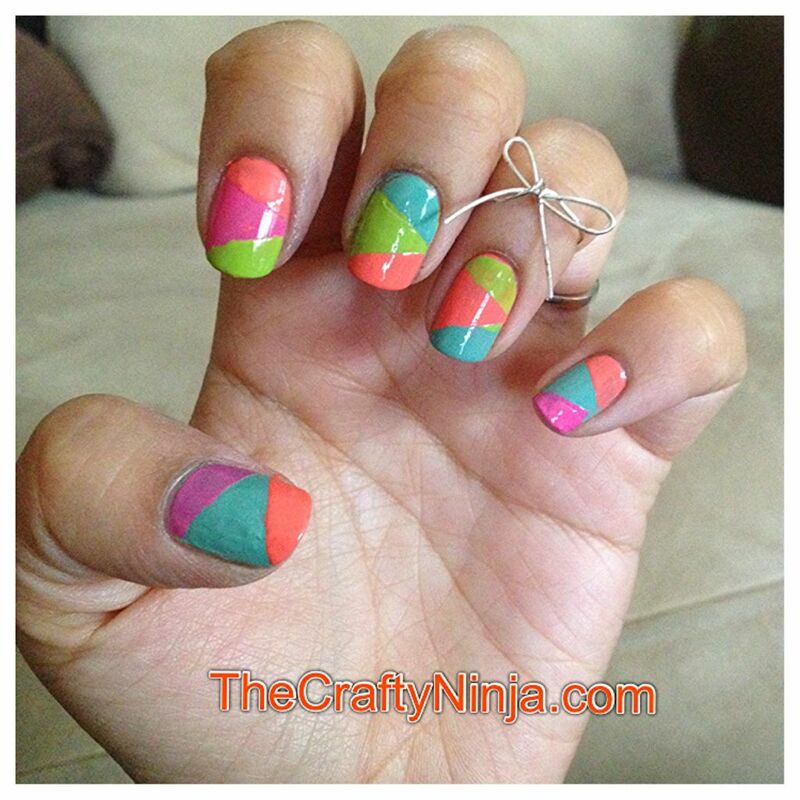 Today’s nail art is all about color blocking, which is blocks of color put together to create a complete look. 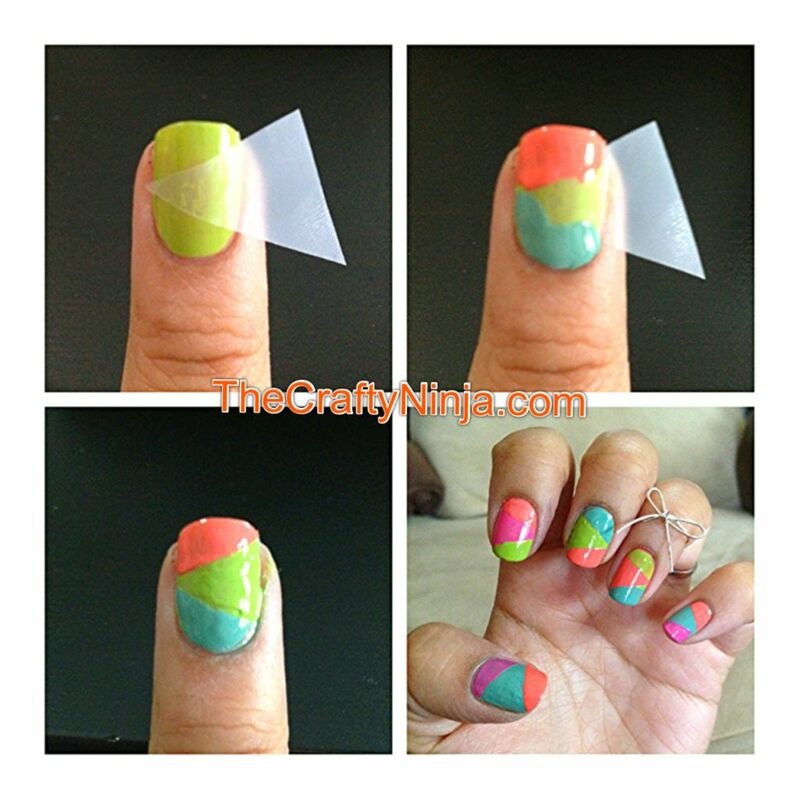 I used scotch tape to create this triangle color block nails. I went to Walgreen’s and purchased two new Sinful Color shades, Open Seas and Hazard, which were only 2 for $3. I love the colors but the nail polish is thick and both had previously been used. To start cut the tape in half to create two triangles. I first used Finger Paints Base Coat then a different nail polish color on each finger. Once my nails were completely dried I put the tape on my finger nail. Then I painted the tip one color and the bottom a different color. 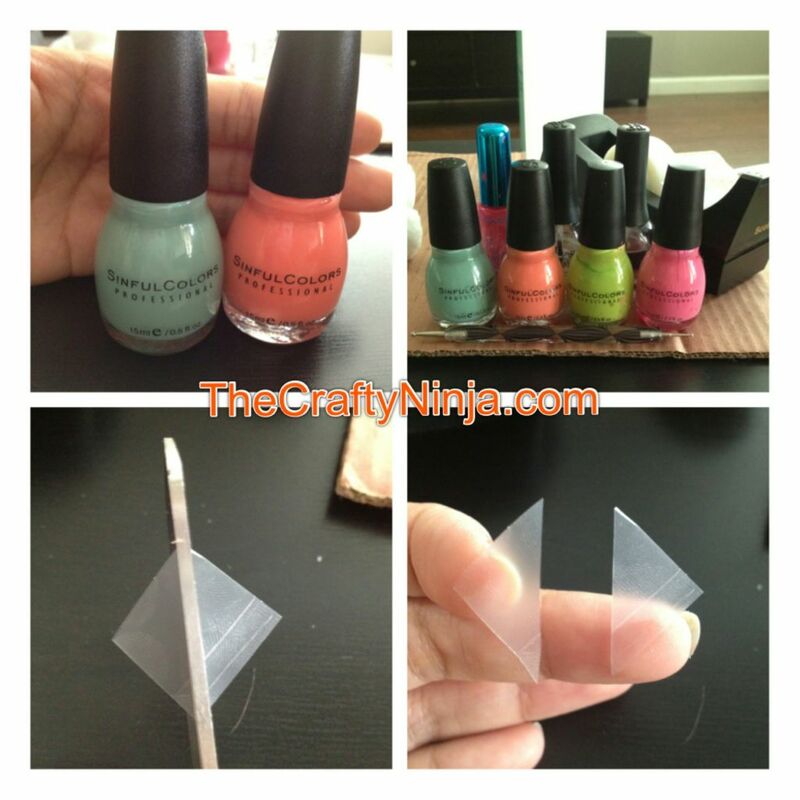 While my nail polish is still wet I carefully removed the tape from right to left. 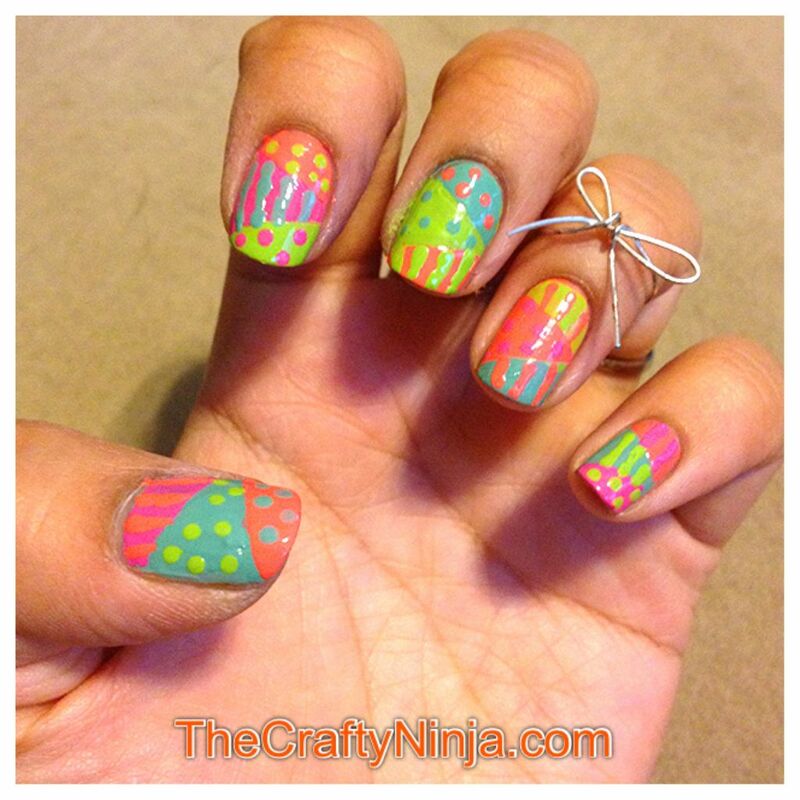 I let my creativity flow by adding dots and stripes with a nail dotting tool. Then painted Finger Paints Top Coat to seal and protect my nails. I also made my bow wire ring, I’m currently trying to learn wire making techniques.